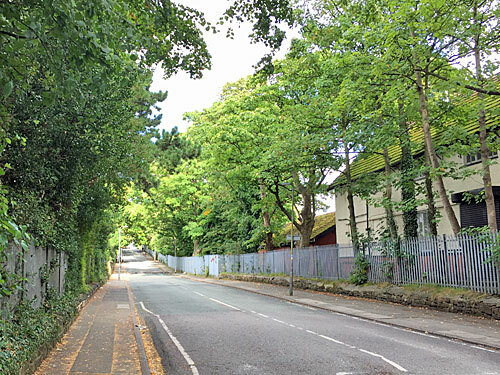 In 1967 Paul McCartney wrote a song about a suburban street in southeast Liverpool. 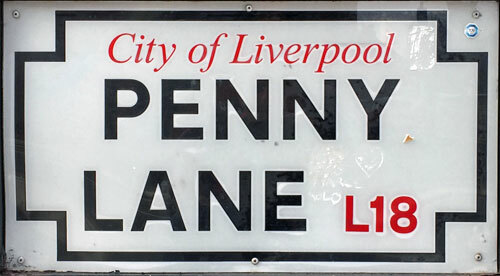 Recorded by The Beatles as part of the Sergeant Pepper sessions, Penny Lane never made it onto the album, having been released up-front as half a double A-sided single. 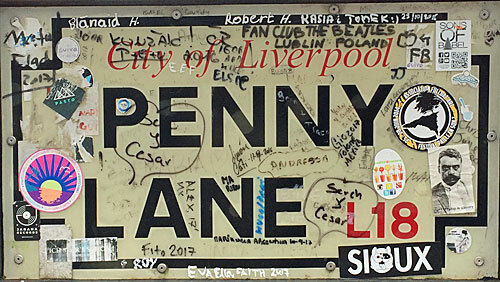 But everybody knows the song, and hence the whole world has heard of Penny Lane L18. 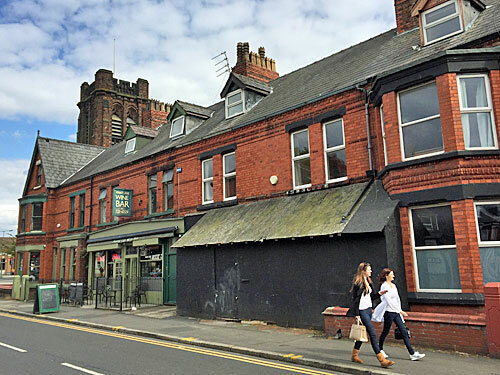 Penny Lane was named after an 18th century slave-trader and runs for about half a mile through the suburb of Mossley Hill, from Smithdown Road down towards Greenbank Lane. One end is busy, at a major road junction overlooked by St Barnabas Church and surrounded by parades of shops, and the other is anything but. The song is about the busy end, a spot where young Paul used to change buses to meet young John, hence somewhere he'd have had ample time to pause and observe the comings and goings of daily life. 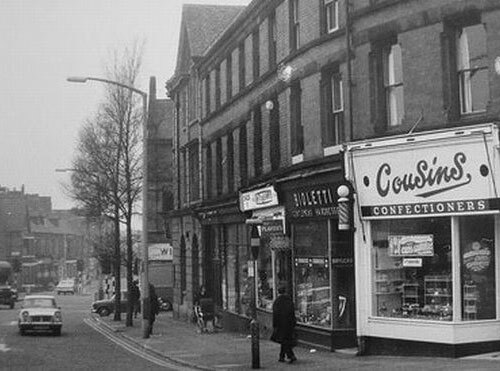 The barber shop in the song isn't on Penny Lane, not quite, but fractionally further on along Smithdown Place. In 1967 it was called Bioletti's and had several well groomed head and shoulders photos in the window. John's childhood home was a couple of minutes walk away on Newcastle Road, and it was here he'd've come for a pre-mop-top chop. Later the shop was taken over by Tony Slavin and he's still in business on the site, seemingly a traditional barber's shop from the outside but now more of a unisex salon within. The most striking feature at this intersection is the mysterious rotunda on the central traffic island. Penny Lane was once a major tram terminus, and this building was where the drivers rested and relieved themselves, and inspectors hid away. Public shelters were also provided, and continued in use after buses took over the routes in the 1950s, hence Paul would have spent many an hour inside waiting, watching and hanging out. In 1990 a Beatles-themed bistro took over the building, but was never a financial success so closed in 2006. 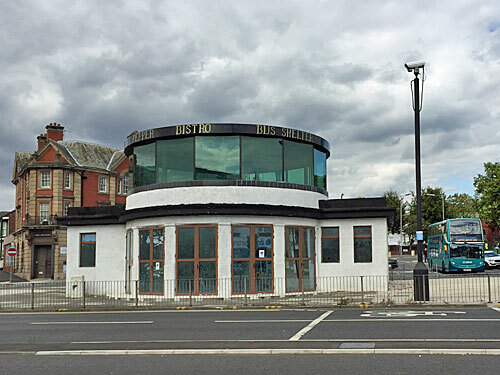 The owner had another stab at viability in 2013 by adding a first floor extension, but the cafe never reopened, nobody's ever dined behind the ring of glass, and the future of this run-down icon remains uncertain. Once there were at least three banks here, one at each corner of this triangular road junction. 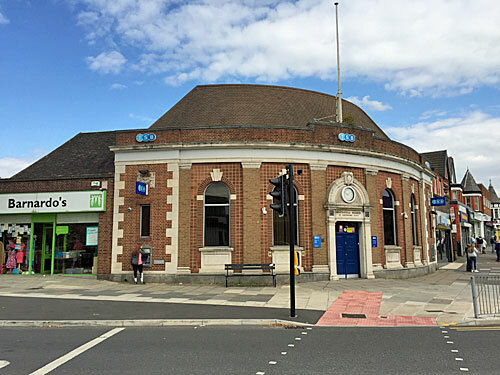 Only Lloyds Bank continues to engage in its original function, since rebranded TSB, with a bold one-storey curved facade and an ornately carved arch above the double doors. One day the shell will surely make a lovely bar or restaurant, but it'll have to compete with the Penny Lane Wine Bar across the street which caters to the up-and coming-demographic now embedded in the surrounding terraces. 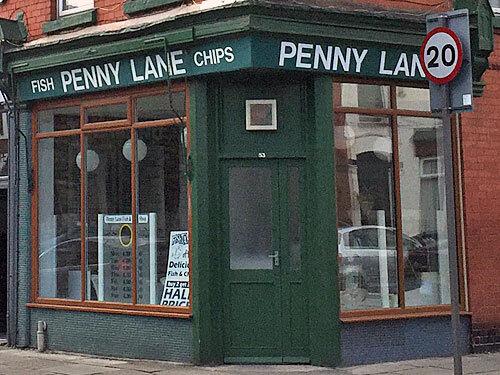 Several other business have taken advantage of the Penny Lane name, in an attempt to raise their local profile and to attract the many tourists who are always dropping by. Penny Lane Fish and Chips is the most obvious Beatles hanger-on, frying in a well-turned-out green-clad corner shop, but elsewhere are the Penny Lane Hotel (with 17 Beatles-themed rooms), Penny Lane Flowers and Penny Lane Art And Framing (which also specialises in vintage watches). The name can't always be a sure-fire commercial winner, however, as Penny Lane Cakes rebranded in April as the less-than relevant Mimimoo coffee shop. McCartney's fireman was a splash of artistic licence, as the nearest fire station was (and is) half a mile away down Mather Avenue. 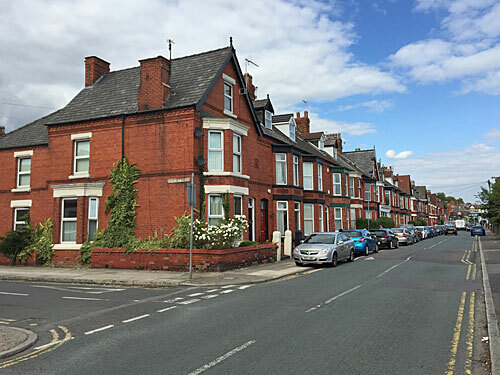 Indeed the song's focus on professional males feels somewhat at odds with today's Penny Lane, a mostly residential street lined by desirable late Victorian villas, interspersed with a handful of retail units. Were the song to be written today it might well dwell on the nail technician at Faces By Faye, the Mexican tattooist at La Tinta or the comings and goings at Jenny Kenny's Designer Dress Agency. Halfway down Penny Lane are the Grove Mount playing fields, abandoned by the FA and potentially ripe for development, but saved for the community by the Penny Lane Development Trust. They took over the burnt-out changing room block and have created a community centre plus a tiny museum, which finally provides tourists on guided tours with somewhere meaningful to stop. 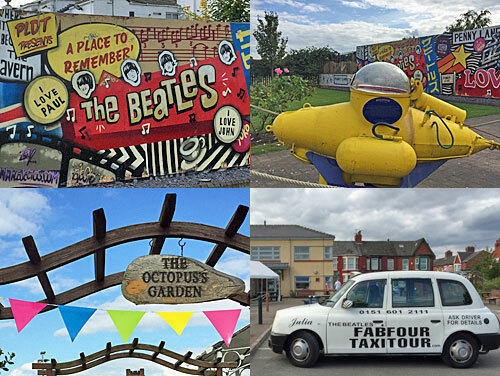 Outside you can take a selfie in front of a scaled-down yellow submarine, admire a Beatles mural or stand on a pretend zebra crossing in The Octopus's Garden. Inside are several period photos, plus a well-stocked gift shop selling non-tack, plus a volunteer behind the till who'd be more than pleased to chat. In recent years another barber has moved in, taking advantage of the fact that the original Bioletti's wasn't actually on Penny Lane. 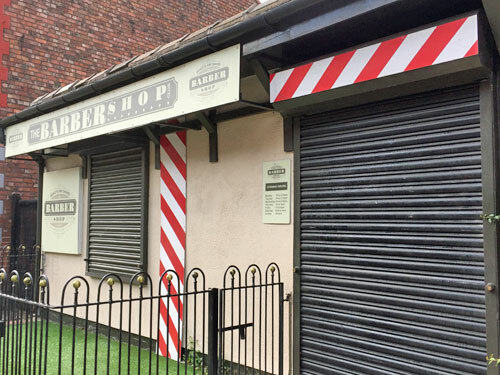 The Barbershop Club trades from a shed-like annexe at the top end of the street, offering skin fades, clipper cuts and beard trims, and provides an astroturf rectangle out front should you want to take a photo. Tony Slavin isn't happy with this interloper, concerned that unguided tourists might be fooled into thinking this was the actual barber shop in the song, whereas they should of course be coming round to his, like all the coach and taxi tours do. By far the most unusual building down Penny Lane is Dovedale Towers, a semi-Gothic villa resembling half a hotel, which was originally home to a wealthy shipowner. 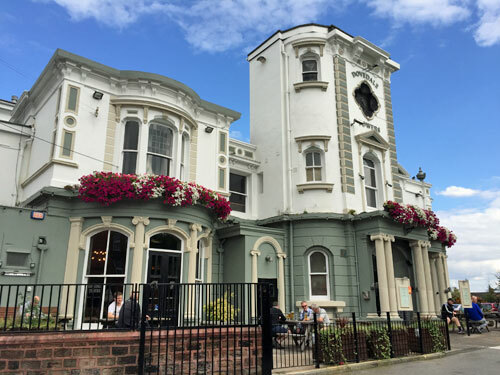 Later in its life it became an orphanage, even a Russian embassy, and is now a gastropub serving up world beers and chorizo burgers with a dash of live music on the side. In 1969 the singer Freddie Mercury lodged briefly in a flat above the pub while a member of the short-lived Liverpool band Ibex. That this insignificant street should have two world class musical associations is truly amazing. Walk far enough down Penny Lane, away from all the bus shelter and haircut action, and the road rises gently to a low summit. This is a railway bridge, indeed it's a railway bridge over the mainline into Liverpool Lime Street, just north of Mossley Hill station. 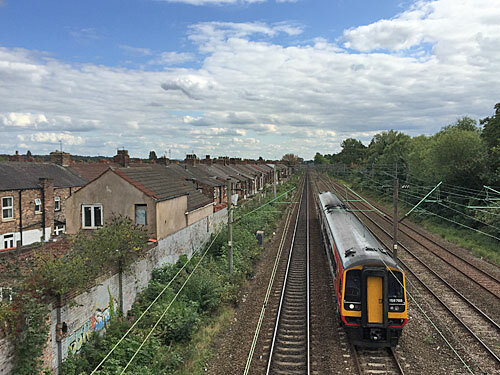 Local rail services rumble underneath, but also Inter City services from Crewe, which means if you've ever taken the train up to Liverpool from the south you'll have passed underneath Penny Lane along the way. And at the far end of the street, you might almost believe that you were out in the country, or at least some deeper suburb. On one side of the road, screened behind trees, are the playing fields of Liverpool College, and on the other side the rambling premises of a private hospital. Here you can get your skin seen to, your eyes fixed or your tummy tucked, at the ill-priced address of One Penny Lane. Nothing up this end of Penny Lane evokes anything in the song, but then very little further up did either, so best stick with the mental image conjured up the first time you heard the trumpet play.